The Friends of Conroe, Inc. The Conroe Cajun Catfish Festival, now in its 29th year, is held the 2nd weekend of October each year in historic downtown Conroe. The family-friendly event features non-stop live music with local, regional and national performers on three stages, food vendors offering festival and Cajun favorites, arts & crafts vendors, a professional carnival, assorted community and educational exhibits, an annual Catfish Pageant and a KidZone area with activities for children and a special performance stage featuring local dance teams, community groups and entertainers. 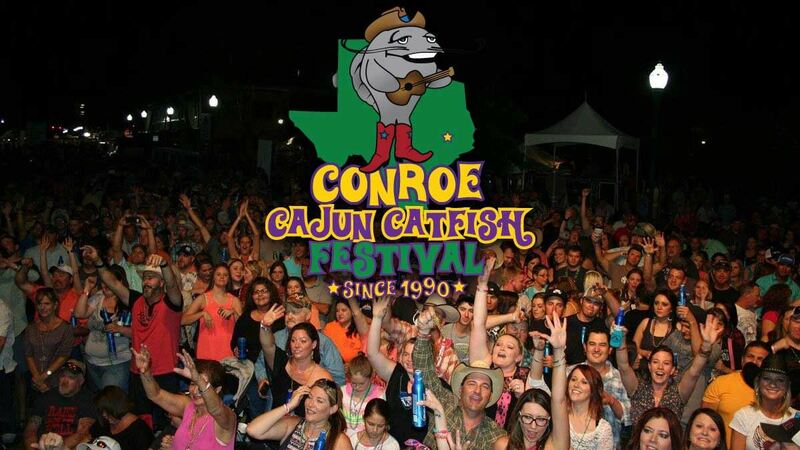 The Conroe Cajun Catfish Festival is a cultural program of the Friends of Conroe, Inc., a non-profit community organization dedicated to furthering the common welfare and well-being of the city of Conroe, Texas. The group sponsors and produces the festival each year.